Scientists have just made a remarkable discovery in the Southeastern Asian country of Myanmar that could alter our understanding of birds. Something absolutely incredible has been discovered in Southeast Asia, and scientists are excited about the breakthroughs the find could hold. 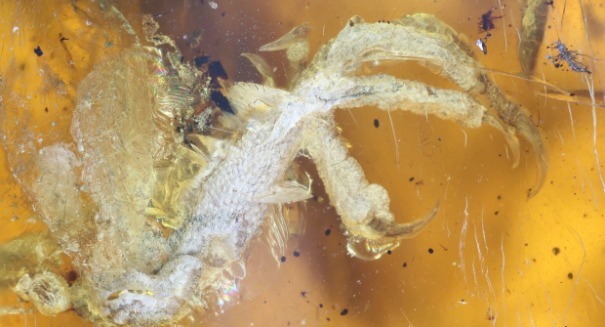 They’ve found a 99 million year old baby bird encased in amber found in Myanmar, perhaps the most detailed specimen of an ancient bird that has ever been found. It has claws, scales, and even feathers, and was found in an area with many amber deposits that date way back in Earth’s history, as far as 145.5 million years old and at least as old as 65.5 million years. One expert said in an interview that it’s a truly remarkable find. A miner found the specimen back in 2014, and thought it was a lizard claw, but an expert thought better and examined it further, determining it to be the foot of a small bird.